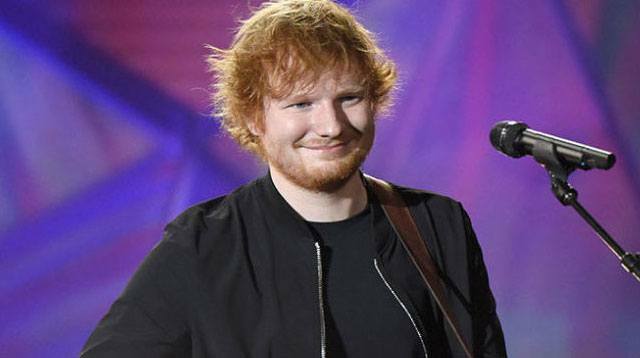 Ed Sheeran just made 2017 a good one. After two years of releasing no new music, he revealed via a Twitter video that he's gracing us with fresh songs THIS FRIDAY, January 6. Clearly sensing that we've played Thinking Out Loud maybe a few too many times over, he sat in front of a camera and held up a sheet of paper that read: "New music coming Friday!!" He also gave a small wave and put the piece of paper in his mouth, because silently sitting in front of a camera is awkward AF no matter how famous you are. Even James Corden tweeted how thrilled he is. If that's not a sign that a new Ed-centric Carpool Karaoke should and could be on the horizon, we don't know what is. Now we just need Sam Smith to follow suit, and all our musical prayers will be answered.